It all began with roadkill. Banff, the crown jewel of the Canadian national parks, is a paradox. Big, primeval wildness and all it embodies -- peaks, waterfalls, and glaciers -- surround the townsite, the antithesis of wildness with its bustling boutiques and hotels. Highway 1, one of the busiest Canadian roadways, slices through the park via the Bow Valley. It vectors millions of people and their vehicles through this iconic landscape, creating a lethal corridor for wildlife. Indeed, in the 1970s animals died so frequently here that people called the highway the "meat maker." 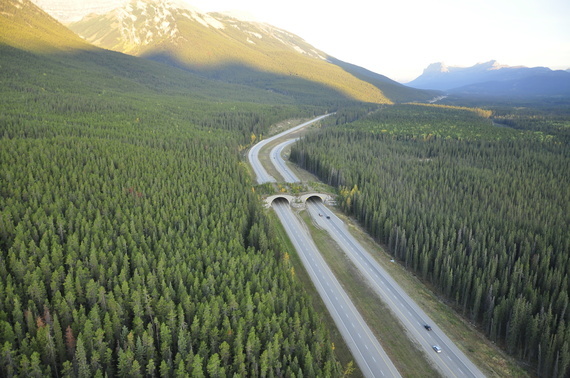 To reduce roadkill, the federal government and Parks Canada created the Banff Wildlife Crossings Project. 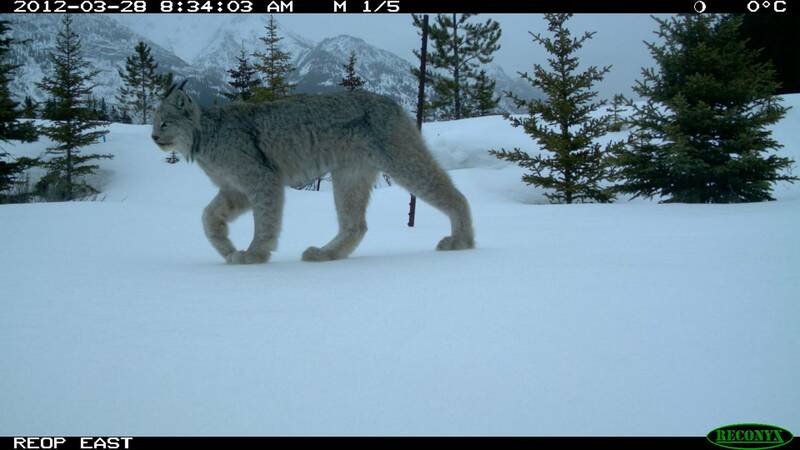 This ambitious project involved fencing the 50-mile corridor between Canmore and Lake Louise along Highway 1 and building many wildlife crossing structures. The fencing prevents wildlife mortality on the highway, and the crossing structures create a connected landscape for animals. Since the 1990s, Dr. Tony Clevenger has been guiding this project. Built in four phases, when completed in 2013, this project totaled 60 crossing structures (39 underpasses, six overpasses, and the rest culverts). Other notable highway corridor ecology projects inspired by this include the Highway 93 mitigation in Montana and the Tijeras Canyon Highway 40 mitigation in New Mexico. 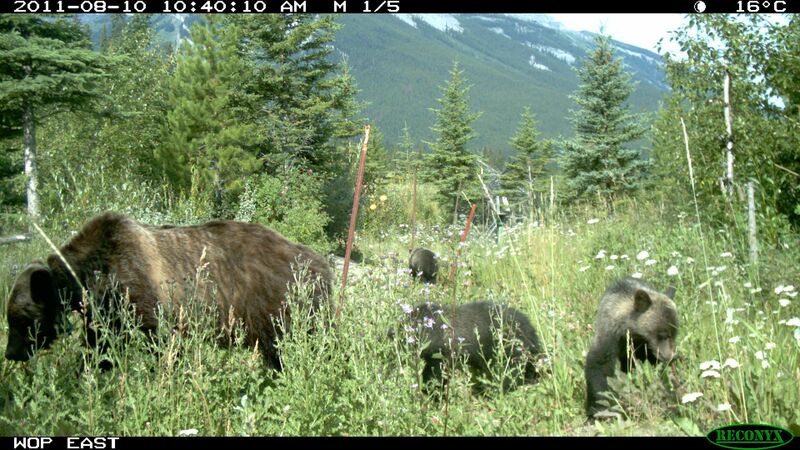 I visited the Banff crossing structures with Steve Michel, a Parks Canada human-wildlife conflicts officer. We pulled over on Highway 1, west of the Banff townsite, at the paired Wolverine Overpass and Underpass. Through a gate in the fence, Michel took me into a haven-like world. Outside the fence, vehicles hurtled by everything from motorcycles to semi-trucks that shook the ground with their passing. But as we walked onto a grassy apron to the top of the overpass, the deafening traffic noise subsided. We'd entered a world far safer for wildlife than the pavement and metal below. This inviting living landscape had multiple levels of native vegetation, game trails, and abundant wildlife signs -- piles of elk pellets and berry-laden bear scats. Michel pointed out a trail camera aimed at one of the more prominent wildlife trails, positioned to collect data about who was using the overpass. He deftly evaded the camera as he guided me back down. Next, we clambered over shrubs and deadfall 20 yards west, to the Wolverine Underpass, an elliptical concrete tunnel 13 feet high and 23 feet wide. As I entered this underpass, the traffic noise receded, and I gasped in wonder. The dim, slanting light that entered the tunnel illuminated hundreds of deer and elk tracks pressed into the bare earth. The tracks provided eloquent testimony of this structure's effectiveness. As of 2014, 11 large mammal species were using the Highway 1 crossing structures. 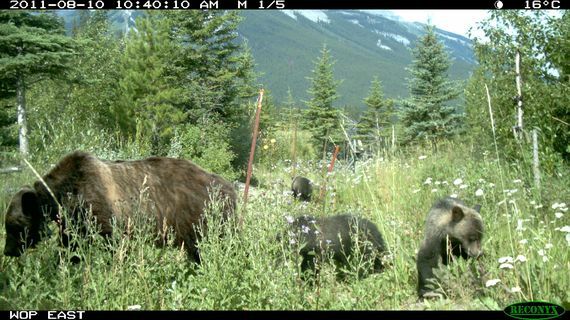 In Banff, this wildly successful wildlife conservation project had reduced roadkill by 80 percent for large mammals, and by 95 percent for ungulates. Now focusing on the wolverine, Clevenger is finding that this elusive, rare species also uses the structures. 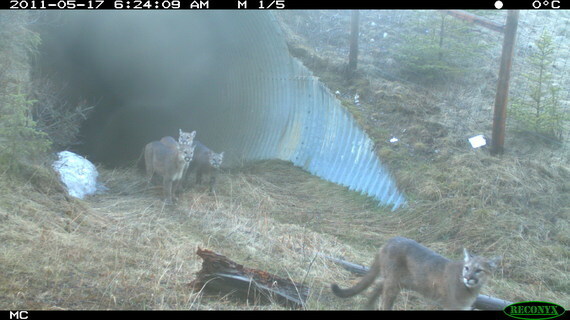 Learn more about the importance of wildlife corridors by reading The Carnivore Way: Coexisting with and Conserving North America's Predators, by Dr. Cristina Eisenberg. Learn more about large carnivore conservation by signing up for the Rewilding Adventure sweepstakes, offered by Island Press, or by joining Cristina afield on her Earthwatch expedition, Tracking Fire and Wolves through the Canadian Rockies.